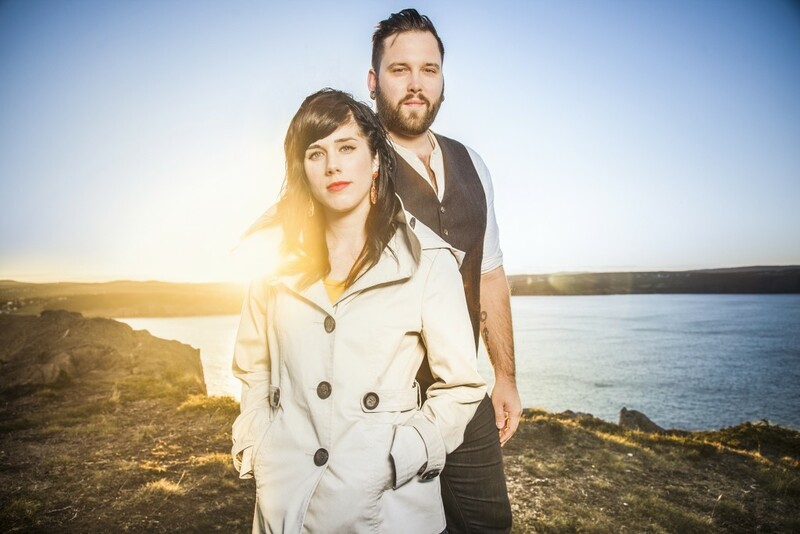 ​​The time leading up to an album release can be a whirlwind, but for Newfoundland folk-pop duo The Fortunate Ones, who on Feb. 10 unleashed their full-length debut The Bliss onto the world, they are taking it all in stride. O’Brien began making music with his Fortunate Ones bandmate, Catherine Allan, a little less than five years ago. The two became acquainted thanks to Allan’s older brother before she worked her way into a band that her sibling and O’Brien were performing with. O’Brien went on to launch an acclaimed solo career under the guise of Andrew O’Brien and The Searchers, earning a trio of Music Newfoundland and Labrador Awards (2011) for his debut album Songs For Searchers. Accompanied by Allan, O’Brien toured extensively throughout Canada and the United Kingdom. It was during this time that they felt that the music they were making was evolving and, perhaps more importantly, deserving of a band name that reflected the contributions that both musicians made. Thus The Fortunate Ones were born. “We both felt that if we were sharing equal duties in the band, we could perhaps put a stronger foot forward under a unified band name,” O’Brien says. The duo eventually wound their way to Lake Echo, N.S., where they recorded The Bliss with producer-engineer Daniel Ledwell. They spent six weeks pouring over the album in fine detail, resulting in a record that brims with hope, strength and heart. O’Brien says the natural setting in which Ledwell’s studio is located played a significant role in the overall feel of their new record. “I think we both ended up learning a lot from Dan,” Allan says. “Being a keyboard player as well, I learned a lot from him in the realm of the instrument which spilled over into how we perform the songs live. I like to think we make a big sound for just being two people but we are able to balance that out with more subtle material to create and overarching theme. “I used to be really concerned with ensuring our live show was a duplication of the record, but Dan showed us that it wasn’t necessary. There are certain things you can do in the studio that the two of us can’t do live, but rather than worrying about that, Dan helped us realize that playing the material live is just an interpretation of the songs. It doesn’t mean they are somehow inferior to the studio versions,” she continues. Not to be underestimated is the role that their hometown of St. John’s played in the formation of the 11 tracks featured on The Bliss. Despite the significant geographical separation that St. John’s has to deal with relative to the remainder of the country, O’Brien says the city is an epicentre of culture. “St. John’s is very much a creative and cultural hub, not just for music but for all different types of art. You are surrounded by it everywhere you turn, which in turn drives you to want to put your best foot forward. It is hard not to exude pride for where we come from. There is just so much talent and so much good work coming from our neck of the woods, the fact we are able to get out there and share our music with the world is really something special. I like to think that we bring a small piece of the island with us every time we leave,” O’Brien says. When: Tuesday, Feb. 24, 9 p.m.